I can’t think of a more divine and elegant memory than of the time that my mother and I enjoyed high tea together in Salisbury, England. It was right before we visited the historic site of Stonehenge, and it was summer time, so the air was sweet with honeysuckle and freshly mowed lawns, and the Devonshire cream and jam on the freshly baked scones were a delightful addition to the authentic English Tea. What a lovely idea to gather up your mother/grandmother/children and recreate the elegance and enjoyment of an English High Tea this mother’s day? 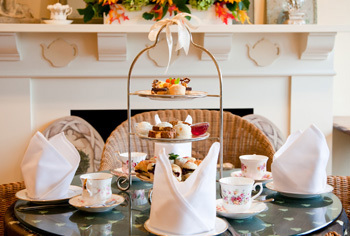 Here is a list of some of the wonderful options that High Tea has to offer in the Lower Mainland/Vancouver Island. Remember to make reservations early, as these fabulous events tend to book up early! 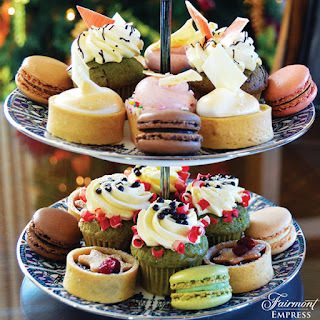 Head up to the 15th floor of the iconic Fairmont Hotel Vancouver and enjoy classic English-inspired tea service as you overlook the stunning skyline of Downtown Vancouver. Called Tea at the Top, you will have your choice of a fine assortment of teas, panna cotta with fresh berries, finger sandwiches, scones and sweet treats from the in-house Pastry Shop. If you have little ones, check out the Children's Bubblegum Tea where your little prince or princess will get to have their tea and treats in a real castle! Finally, get ready to channel your inner Titanic-themed garb (think Rose dressed to the nines for dinner) and visit the famous Fairmont Sunday Best! Every Sunday, Tea at the Top encourages you to come dressed to impress in your best fascinator or bowtie, and the table selected as ‘best tea attire’ during the 12:30pm & 3:30pm seatings will get a complimentary glass of champagne. Don’t forget to tag @fairmontvan #teaatthetop to share your best outfit. The pastry chef at the Fairmont Empress in Victoria crafts treats like no other, and the beloved ritual of afternoon tea in the lobby will leave you feeling like the Queen herself! Set against the beautiful scenery of Victoria’s inner harbor, the lobby of the Empress brings to into a scene reminiscent of an old English castle – the décor is lush with rich chintz fabrics, antiqued tapestries and rugs, elegant wing back chairs, vintage furnishings and hand-carved tables. Indulge in an assortment of delightful, high quality teas, coffees and goodies, all served on beautiful William Edwards china. The experience will leave you feeling like royalty for sure! La vie est belle at the Little White House café in historic Fort Langley. Modelled after a Parisian Salon Café which mixed café au lait with delectable pastries, The Little White House is a heritage building that offers delicious brunch, lunch and afternoon tea. You will be served a beverage of your choice and can order off the menu (be sure to try their savory crepes) or enjoy a three-tiered platter of in-house made “sweet petits” - macrons, scones, petit sandwiches, tarts and more. Be sure to save some time to browse the local and artisan crafts in the Salon Shoppe after your tea, and don’t forget to wander through historic Fort Langley after, in search of an antique treasure or just to window shop! May is a beautiful month for gardens – fragrant flowers, beautiful bushes and blooming trees adorn all of Vancouver’s streets and boroughs. What better way than to enjoy mother’s day than to do high tea in one of the city’s most beautiful gardens? Visit Truffles on mother’s day for a lovely afternoon tea which includes: French macarons, coconut macaroons, shortbread, petit fours, chocolate truffles, scones, croissants, a daily sandwich, raspberry jam, honey and clotted cream. Take a stroll through Van Dusen’s gorgeous botanical gardens afterwards and enjoy the scenery. The Secret Garden Tea Company is one of Kerrisdale’s local favorites. All the goodies are fresh, seasonal and made in-house, and served on gleaming china and linen napkins, and the specially blended Secret Garden Tea makes the High Tea experience a lovely time. Seatings are at 12noon, 2:15 and 4:30pm daily. This Peter Pan-themed tea salon goes beyond the traditional High Tea menu – in fact, get ready to try the most delicious tea-infused cocktails, such as Peter’s Broken Promise and Tinkerbell’s Lost Kiss (available at the Lost Boys Bar inside the salon)! Their high tea provides the highest quality ingredients, full of creativity and culinary adventure. They also offer gluten and dairy free options for those with allergies. 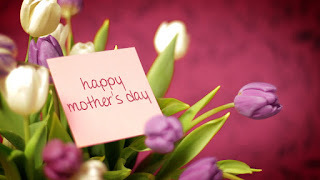 This year, they are offering a special mother’s day menu that offers a champagne high tea option as well as the usual high tea. They go beyond the usual pastries and offer crab cakes and an asparagus and prosciutto croissant that I’ve heard is a delight! Book now to avoid disappointment. Tracycakes is a favorite stop for Fraser Valley dwellers who love homemade sweets and treats, and their high tea is no different – not to mention a great deal at only $18.50 per person. Even better, if you want to enjoy all those petit treats, finger sandwiches, goodies and teas in the comfort of your own home, Tracycakes does High Tea to go! Check out their website for more information. Prices and events are subject to availability and change. Please contact the location of your choice to make reservations.